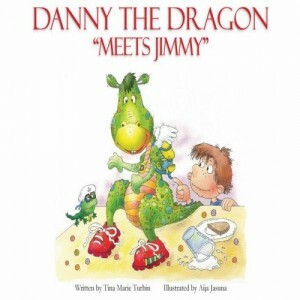 Critically-acclaimed children’s author Tina Turbin, author of the multi-award-winning illustrated kids book Danny the Dragon Meets Jimmy, has kicked off a Danny the Dragon summer tour in Europe. The book tour comes after a series of prestigious honors including the most recent 2011 Media of the Year Award by Creative Child Magazine in the category of Reading Interactive Picture Books and First Prize for Best Illustrations in the competitive Purple Dragonfly Book Awards for its illustrations by Aija Jasuna. We had such a great time at the Burbank Book Festival! It was great to connect with the authors and readers in Burbank and we were received. As an author I really enjoy book festivals and getting all the terrific feedback on Danny the Dragon. And to be featured amongst such great authors was really an honor. Can’t wait for next year!